If I am away from the house from an extended period of time, you will more than likely find me with a laptop, cell phone and tablet in tow. If I’m with my kids, add on two extra tablets &/or an iPod. Staying connected is important in this line of work, and so is stayed charged. 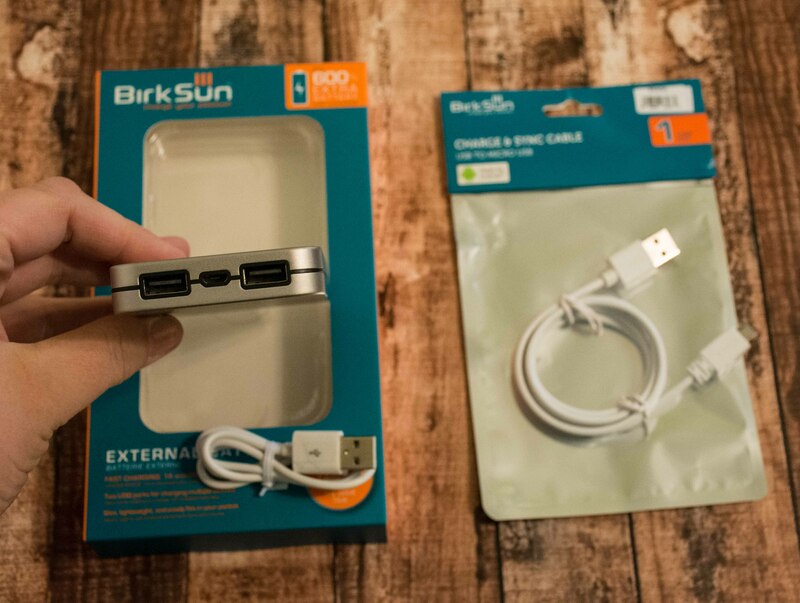 Finding a portable method of charging your devices can be a challenge. 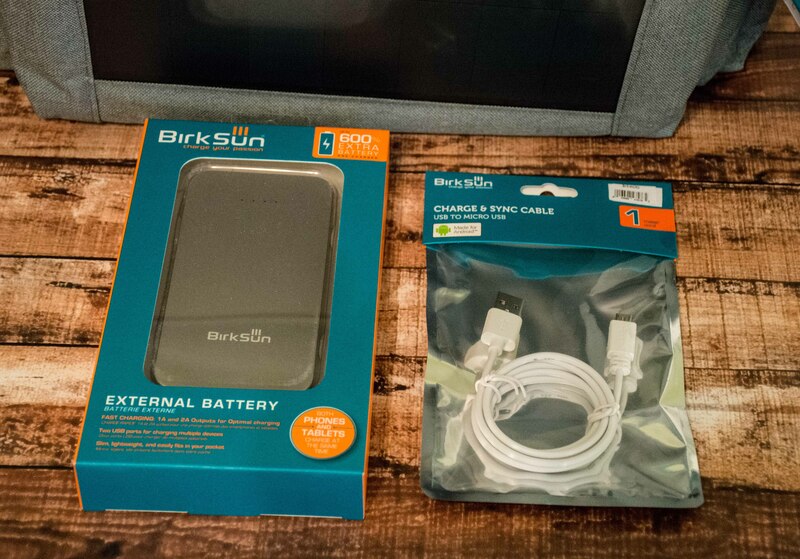 Birksun has found a way to incorporate both the transportation issue all of us eventually face and charging… all rolled up into one. 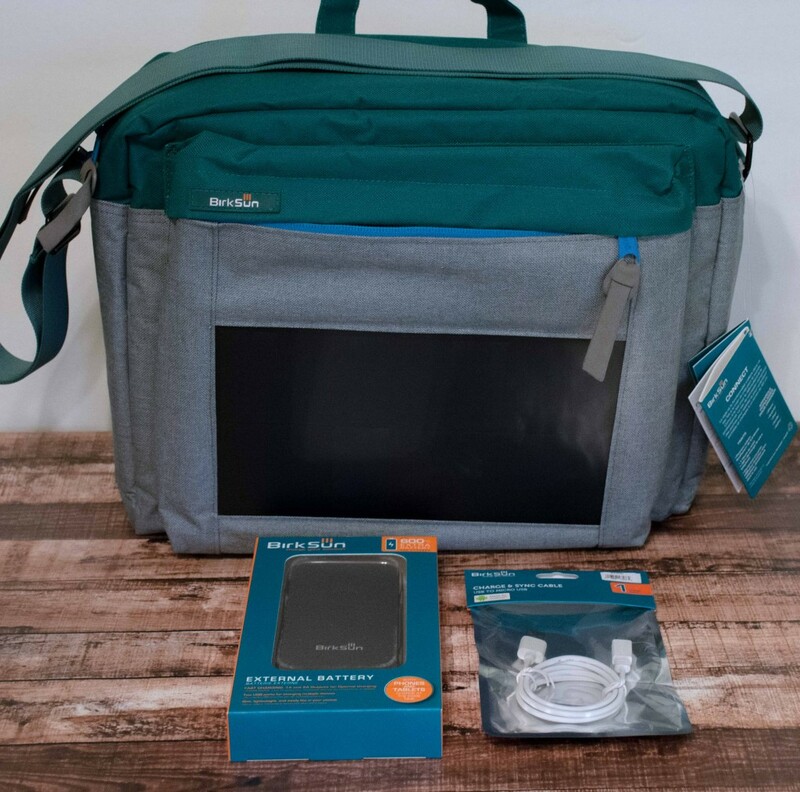 The Connect Solar Messenger Bag/Charger is designed for both the hustler and the business professional. 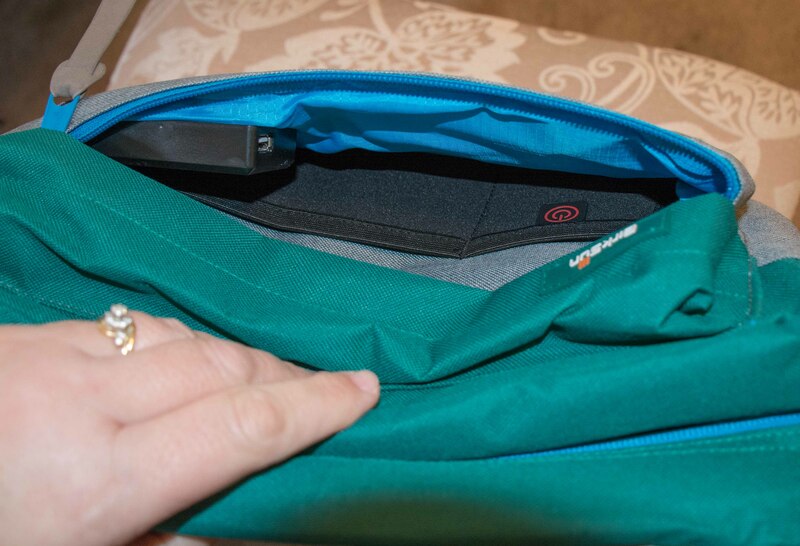 The Connect Pack includes a 15″ fleece laptop sleeve, organizational front pocket, and neoprene organizer sleeve. The front zipper pocket is directly behind the solar panel and it houses the charging port and a pockets to slide your phone into while it’s charging. 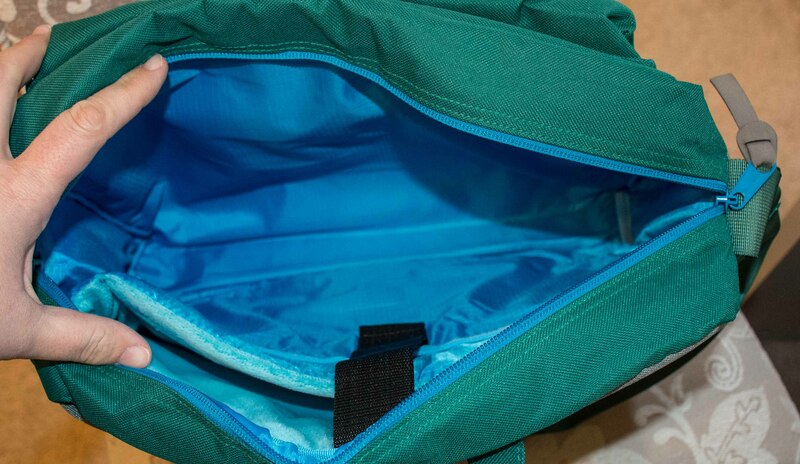 The inside is fleece lined and roomy. The main compartment is more than ample to hold several of your daily necessities. 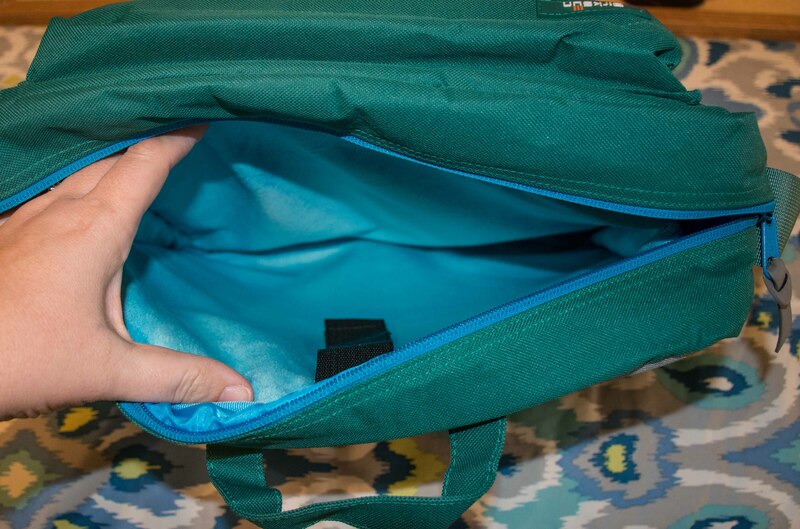 The laptop compartment is lined in a super soft material perfect for housing up to a 15″ laptop. The Connect Messenger Bag more than met my expectations. The strap is a nice length to carry cross body or over the shoulder, you can charge and go at the same time (1 hour of sunlight = 30% charge) and is compatible with all smartphones, tablets and laptops that charge using a USB cord. For times I need to leave the laptop at home, I can use the external battery charger. Despite being only 8mm thin, this external battery provides 300% extra battery to any mobile device. 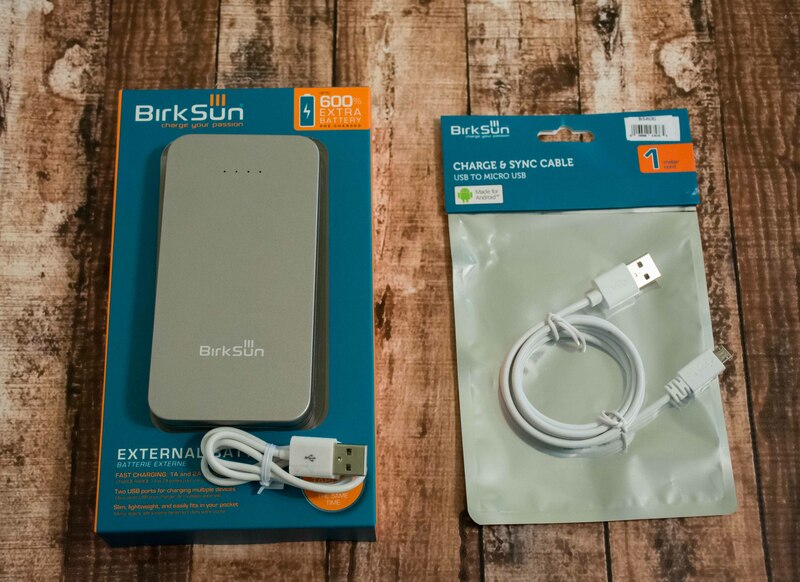 Ideal for traveling, commuting to work, and getting lost in the Sahara desert, the Air Power Bank charges all USB devices at wall outlet speeds and holds over 98% of its power for 90 days. Small and mighty… that is my opinion of this charger. It’s stylish, is the size of an average smart phone and packs a punch. Combined with the Connect Solar Messenger bag you’ve got a charging duo to keep all of your devices going wherever you are. What a great system. Wonderful gift for the techie this Christmas, too! This is really quite practical. I want one for myself! The convenience of charging devices while on the go? What a wonderful idea!! I can definitely see this bag going on my holiday wish list.